Widespread use of flash tape, plastic owls attached to poles, sound devices, and other “hopefuls” have all but fallen by the wayside as being ineffective but not cheap. Although still prevalent in many vineyards, these bird repellents are more like window dressings than effective solutions. 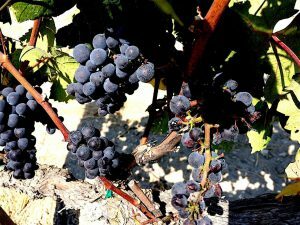 Vineyard managers are essentially left with propane gas cannons and netting the only effective means of minimizing crop losses due to bird damage. Or does it? 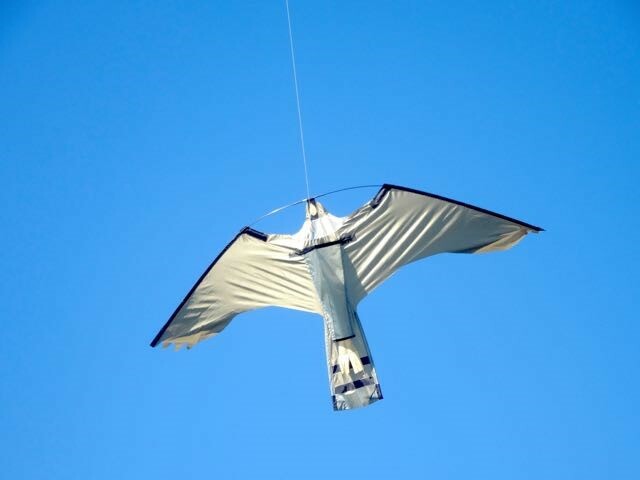 Many owners and managers have tried with great success the relatively new falcon replica “FrightKites.” Made from weather, wind, and sun resistant fabric, these kites replicate the size, shape, color, and airborne random movements of a real falcon. 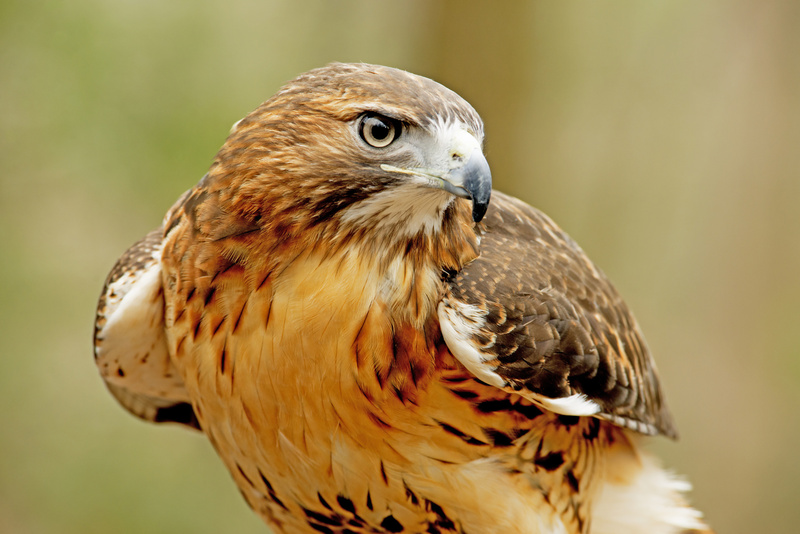 Falcons are one of the most widely feared predators of birds in the wild. Flying from a telescoping pole, these kites can reach a height of 70ft in the air, so they are visible from birds in flight approaching vineyards. A mere 2 mph wind will cause these kites to rise in the air and be seen hovering just over the vineyard canopy. As the wind increases, so does the acrobatics of the kite, and the movements are totally random to minimize birds getting “accustomed” to its presence. 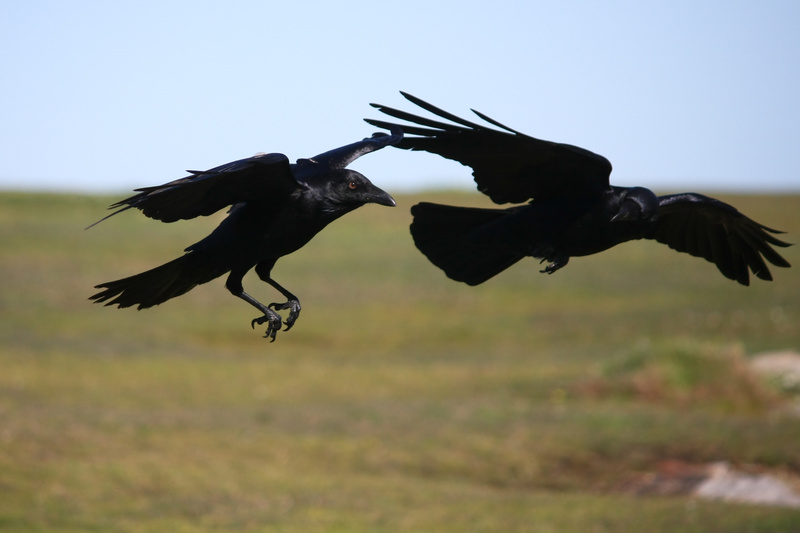 The primary objective is to get the kite airborne so approaching birds see it and recognize it from sufficient distance away to cause them to change direction and avoid the pace in which it is flying. If you were a bird approaching a vineyard and saw what appears to be one or more hunting falcons, would you keep going to land directly under its eye or would you merely veer away and feed at another adjacent but unprotected vineyard? Yes! Vineyard owners and managers are seeing and reporting results of over 95% elimination of bird damage to grapes. Sales of 10 or more FrightKites per customer are not uncommon, and usage is now growing to include protection of fruit trees, home gardens, nuts, vegetables, and other commodities. 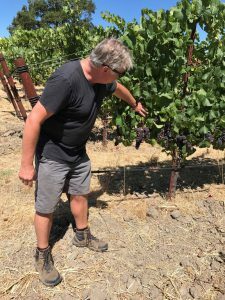 The left photo below shows Dan Barwick from Paradise Ridge in 2017, inspecting grapes that were fully exposed and protected only by the FrightKite. The prior year, he had used netting. The lower right photo shows the typical fruit damage in an unprotected vineyard of Pinot grapes. After a test period of only 3-4 weeks, Dan purchased six more Falcon FrightKites and employed no netting at all. 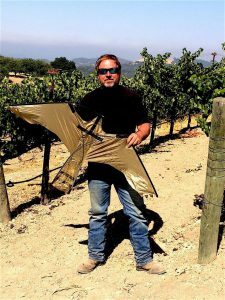 The photo below shows one vineyard at the Opolo Property in Paso Robles with Scott Welcher holding one of his many FrightKites. After one season of extended testing, Scott made the following comment. Verasion is the time when birds become most interested in grapes, so the FrightKites only have to be installed and flown from the onset of verasion to harvest. With only 3-4 months usage per year, these kites have a lifespan of many, many years, and are easy to install, take down, and store. One FrightKite costs about $300 and will effectively protect approximately 1.25 acres. Two falcons will protect about 3 acres as the area between the two products when flying is regarded by birds as the “kill zone.” Typically, multiple units are installed about 150-200ft apart. Let’s now look at gas cannons and netting as alternatives. 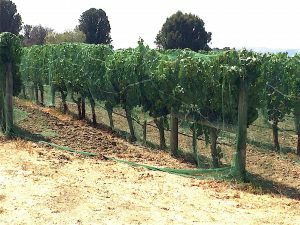 Bird netting is the favored product for protection of grapes and fruit against bird strikes because it works. 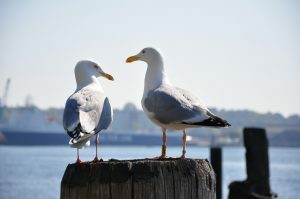 But without any doubt, it is expensive, it is hard to install, and if not done correctly, birds will get inside and continue to inflict damage. In the case of “drape over” netting birds can land on the net itself and still peck at the grapes causing damage. Once installed, the canopy can continue to grow through the netting and this makes it very difficult to remove without damage and need for repair. If not handled gently, it will rip or tear when removed at the end of the season. Typically, 3-5 years is the average lifespan of the product. There are without doubt many different types of nets available (mesh size, color, strength, and so on) and many different techniques of installation. However, not one is as easy or is as low cost as the FrightKite. Costs widely vary when you account for the type of net, the installation method (drape netting, side netting, raised netting over the canopy); but, in overall terms when you include material cost, labor cost, machinery cost, and so on, costs can run $1000-$5000 or more per acre. Typically, with a six-man crew and a specialized tractor to run the netting, it will take one day to cover about 2 acres. This puts netting at well over three times the cost of the FrightKite and with very little added economic benefit. 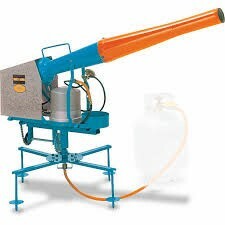 An average propane gas cannon with rotating head will provide around 17,000 blasts per 5-gallon tank and costs in the region of $250. More expensive models can run over $450. One cannon is advertised to protect between 1 and 5 acres; however, there are many drawbacks. 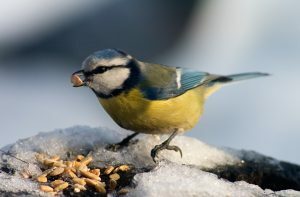 Birds do become adapted to the noise and ignore its sound. Neighbors do not become de-sensitized to the noise and find it obtrusive and annoying. In 2017, the Napa Valley Register ran an article describing how several residents adjacent to the cannon had made written and personal complaints about the noise. Cannons can start at 6 AM and continue until 8 PM or later. Regular maintenance is required, not the least of which is the replacement of propane tanks at $18.50 per 5-gallon tank. So, with quite limited effectiveness and so many drawbacks, the use of these products is taking a declining place in order of preference for bird exclusion. The use of FrightKites is now emerging as an effective, low-cost alternative to netting and gas cannons, with results that more than justify their cost. We expect to see a lot more of these flying in vineyards in 2018 and the years ahead as silent protectors of grapes and fruits. There’s nothing like the taste of your own home-grown fruit and vegetables. Or perhaps you’re a vineyard-owner, cultivating all those wonderful grapes for your much-loved wine! 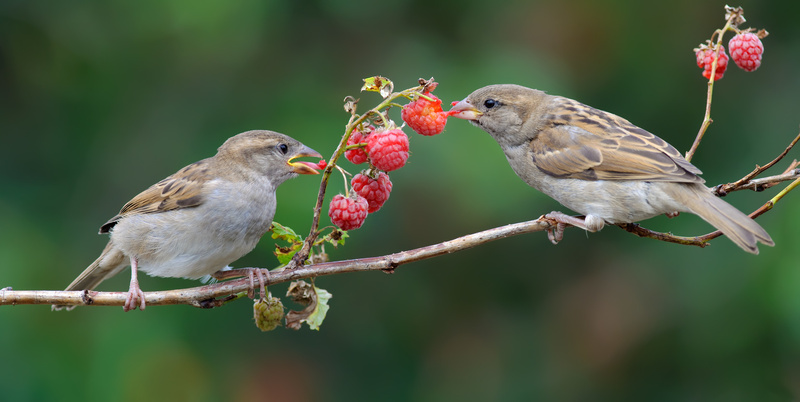 The problem many growers run into, though, is that birds often eat a lot of the unpicked fruit before humans get a chance to harvest it. Sometimes, they can almost clear a whole crop! 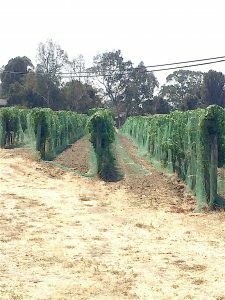 Until recently, bird netting was one of the few options available to protect certain plants like grapes and cherries. But there are some concerns over this method. Keep reading for 5 problems with using netting to protect your produce. At around $6.50 per square foot, netting is a very costly choice. That small figure might not sound like very much, but when you consider the amount you’d need to cover the average fruit tree, the costs start adding up. A medium-wide-boughed, 10ft fruit tree would need at least a 38ft x 38ft section of netting, and the cost suddenly shoots up to almost $250. Now multiply that by several trees, and the figure’s pretty eye-watering. Bird netting is often sold as being reusable, so you should be able to cover your trees effectively, each season. However, depending on the quality of your netting, the fabric can become dry and brittle. This can cause it to break, or be difficult to re-drape. The small holes in the netting are what keeps the birds out. Unfortunately, though, it can also damage the very plants it’s used to protect. Bird netting will often sever leaves and break off fruit when there’s a heavy wind. 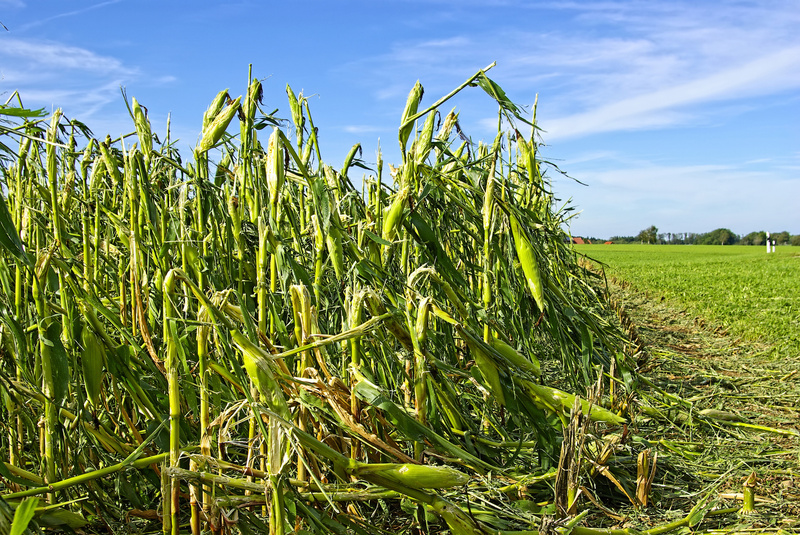 This can impact on your harvest and, if you’re a commercial grower, it can affect your profits, too. Sadly, poorly-installed netting allows birds to enter it, and then traps them inside. Smaller birds, like tiny sparrows and baby birds, can get tangled up in the mesh itself, causing damage to their beaks and other extremities. Birds can also get their legs and feet entangled, so they’re trapped and unable to safely fly away. It’s not just birds that get caught up in netting. In fact, many owners have reported finding snakes and other wildlife within their mesh-covered plants. Of course, the danger to cultivators is great, and freeing a frightened trapped snake is a risky endeavor. Rabbits, lizards, and squirrels, for example, have been found both dead and alive. And dead animals attract other pests, who can also become trapped inside. Protecting your crops from those pesky birds can be hard work. 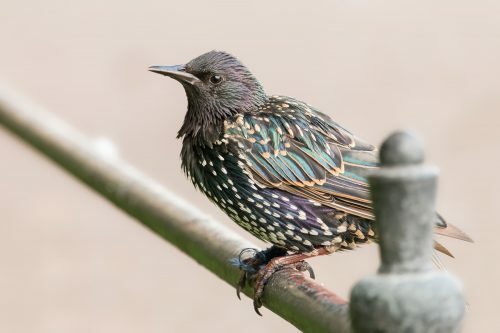 A lot of people have been forced to use bird netting as a deterrent, simply because there haven’t been many alternatives. Unfortunately, this common material has a few major failings. You should definitely factor these into your decision when it comes to caring for your plants. But did you know there’s a cheaper, safer and highly effective solution that can work for you? 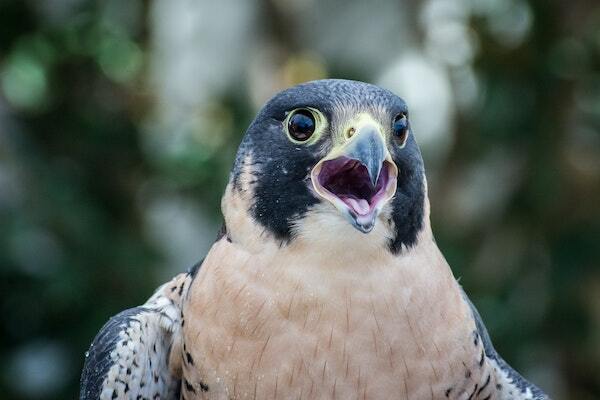 Click here to learn how the Falcon FrightKite can help you.